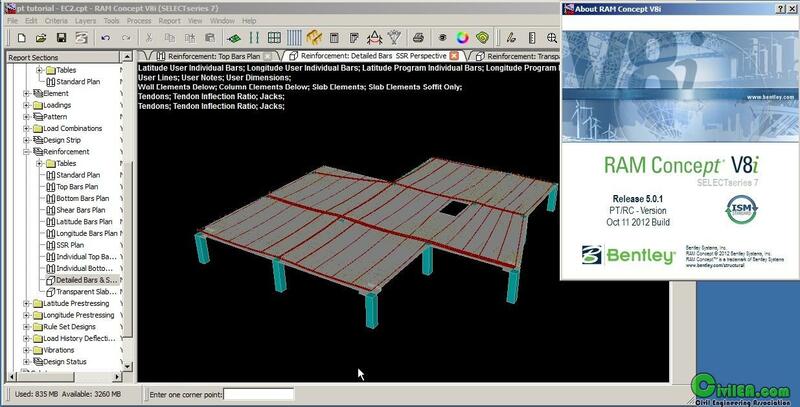 model, or design individual strips or beams. shear, stresses for flexure, and deflections. 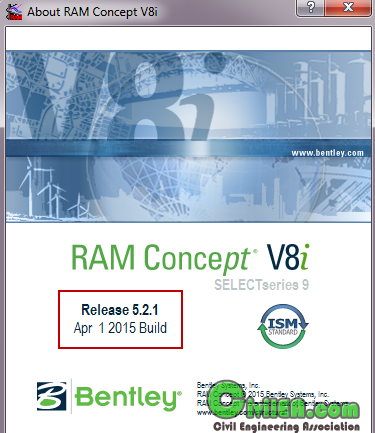 RAM Concept V8i Release 5.1.1 can be installed side-by-side with previous release versions of Concept. There is no need to uninstall previous release versions. RAM Concept V8i Release 5.1.1 is a patch, containing error corrections and minor enhancements. Each issue addressed is summarized below. When the user attempted to audit a cross section generated by a design section, an error with the message “Program Error (Report Parsing Error: bad master node contents)” resulted. RAM Concept became unresponsive when the calc log had a large amount of output. The import of a dxf file with missing xrefs into RAM Concept caused a program crash in specific and rare instances. When working with lateral loads that were imported from RAM Structural System, RAM Concept always treated wind loads as service loads, even when they might be ultimate level loads. RAM Concept V8i Release 5.1 can read all previous file formats, but writes files in a format that cannot be read by previous versions.